The City of Paso Robles Department of Public Works worked with Cannon, the project engineer, in order to increase the efficiency of a storm drain on Ashwood Place. The design options were to either increase the size of the existing culvert or to add on to the culvert. The existing utilities on the site caused routing difficulties and decreased culvert replacement options for the City. The design necessitated that the City keep the existing 60- in. 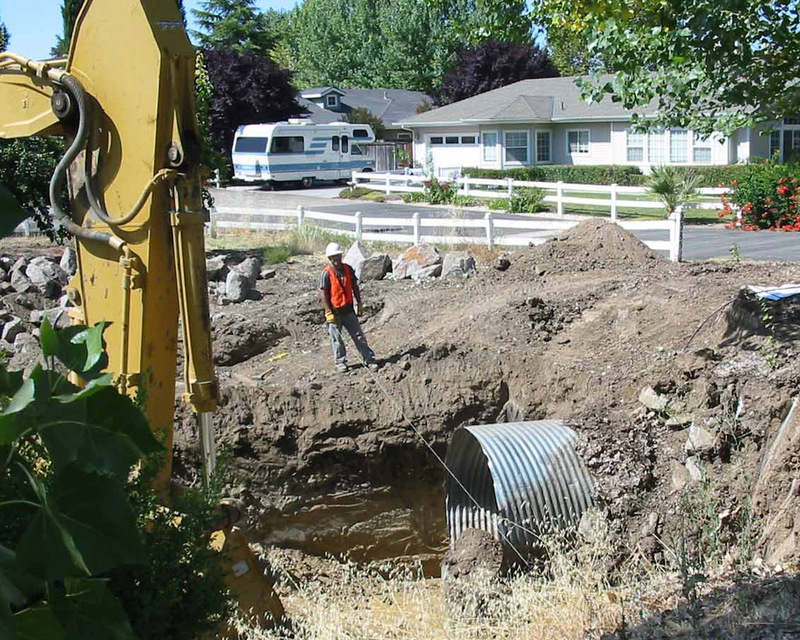 diameter corrugated metal pipe culvert and install an additional 60- in. diameter pipe adjacent to it. The new pipe would fit into the existing space between the utilities that go above and below it. 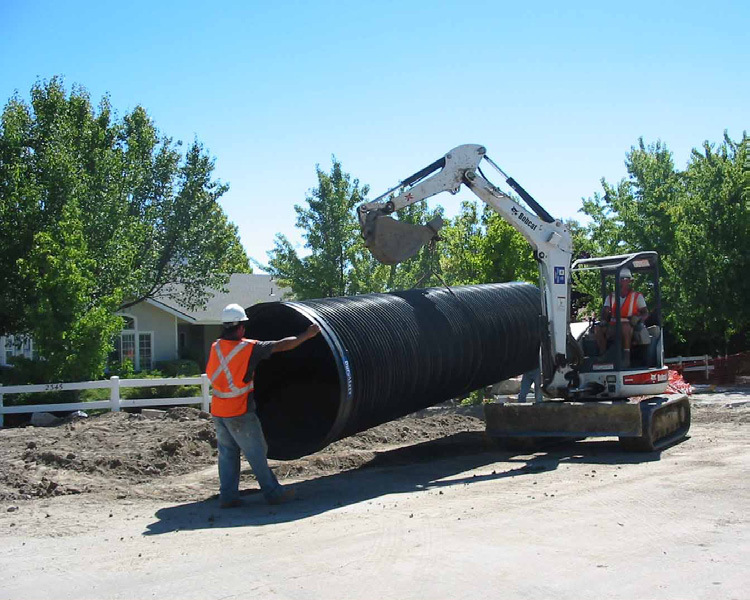 DuroMaxx Steel Reinforced Polyethylene (SRPE) pipe has low minimum cover requirements and a relatively thin profile, enabling the City to keep the utilities exactly where they were without disruption. Corrugated HDPE pipe and Reinforced Concrete Pipe have significantly larger outside diameters and would have required rerouting and reconstruction of the existing culvert. DuroMaxx was chosen for the project because of the ease of installation, because it had a smooth inner wall for outstanding hydraulic capacity and because of its cost efficiency. DuroMaxx is also manufactured with bell and spigot joints and has fewer joints to assemble on site, resulting in a faster installation. C3 Construction installed 160-ft. of 54-in. diameter DuroMaxx Pipe with 15 psi bell and spigot joints. DuroMaxx&; 160-ft. of 54-in. dia.